"Menslink has been supporting young men in the Canberra region for over fifteen years through our free counselling, volunteer mentoring and education programs. In that time we helped thousands of young guys get through tough or lonely times with the least amount of pain or harm to themselves or those around them. We help young guys reach their full potential and become the great adult men they want to be. Because we believe everything is possible for them, their families, their mates and our community. All our services are free to young guys and their families." The primary focus of Noffs services is socially disadvantaged and disconnected young people and those from the Indigenous community as well as those from culturally and linguistically diverse backgrounds. Our particular expertise is in the treatment of young people with drug and alcohol problems and in particular those with comorbid mental health issues. 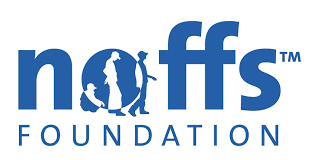 While focussed on young people, Noffs involves the entire community by organising and promoting events to create shared experiences, open pathways for communication and enhance the sense of social inclusion. All Noffs services emphasise the use of multi-dimensional approaches to engage and maintain positive relationships with young people. These approaches include the creation of welcoming and safe social spaces, inclusion of young people in decision-making and planning processes, catering for social and cultural diversity, collaboration with a range of other specialist services and a focus on problem solving. All of our services are based on leading research and are continually evaluated.